K-1 kerosene is a hydrocarbon compound closely related to K-2 kerosene, diesel fuel and jet fuel. It is commonly used in both kerosene space heaters and whole-house-heating furnaces. The fuel tanks can range from a few pints to hundreds of gallons, depending on how the K-1 is being used. Water in the K-1 will not only contaminate the fuel and render it nonburnable, it will also lead to rust and eventual leakage from inside of a steel fuel tank. You can remove water from a fuel tank. Pour a water absorption chemical additive into your fuel tank. These additives are available at hardware stores or from HVAC companies and distributors. The additives have a base alcohol formula that absorbs small amounts of water. This action will then allow successful burning of the fuel in the tank. Introduce a water absorbing cloth tube into the fuel tank. They are commonly referred to as "water worms," from the name of a specific product. The tube will absorb water from the fuel when dropped to the bottom of the tank. They are available through HVAC dealers or on the Internet. Remove the fuel supply line coupling and drain the water out of the tank. Turn the supply valve off, use a wrench to unscrew the coupling and place a bucket beneath the valve. Turn the valve on and collect all of the water that comes out of the fuel tank. Kerosene is lighter than water, so the water will always be on the bottom of the tank and drain out before any kerosene drains. When kerosene begins draining instead of water, turn off the supply valve and screw the coupling back into place. 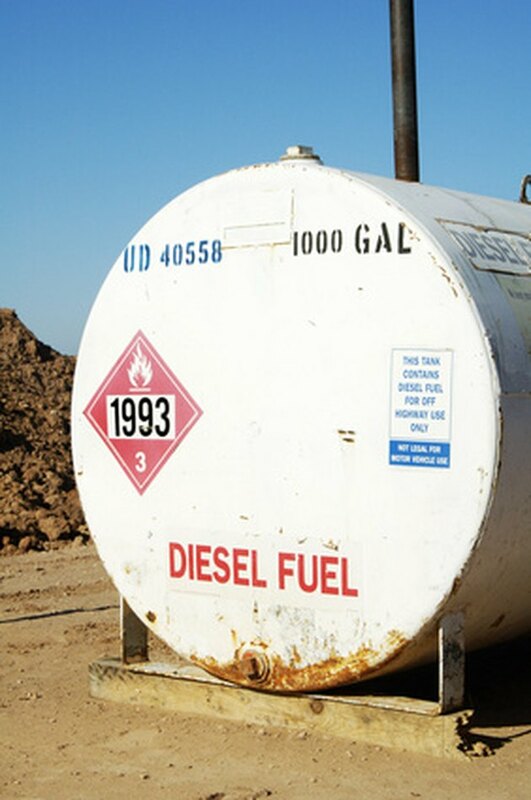 You can also call your local fuel oil delivery company and have them pump out the water at the bottom of the tank. Every fuel oil company is readily equipped for this task.